Looking for the other kind of room and board? 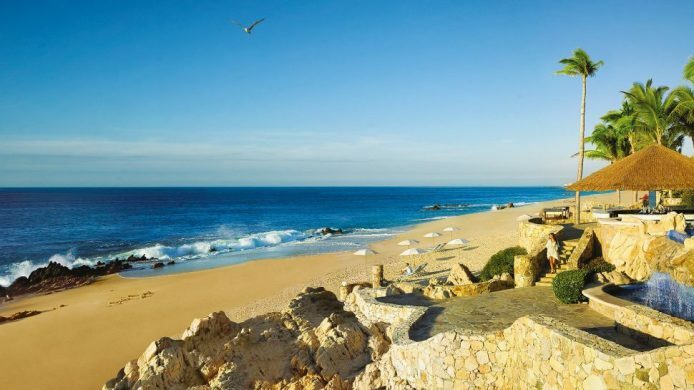 More and more five-star properties are offering surfing excursions as experiences, which makes for a winning combination of thrill riding and après pampering. 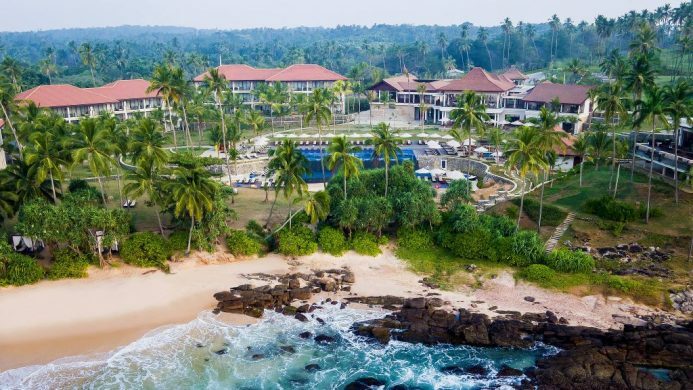 Whether beginner or advanced, make a plan to stay and slay waves at some of these 10 hotels situated near surf breaks. 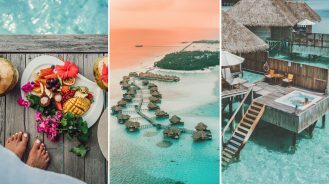 Yes, the Maldives has surf and Six Senses Laamu is well-equipped to help guests whet their appetite for waves. Outside their watersports centre is sandy lagoon with a 1- to 3-foot break perfect for learning. They’ll boat more experienced surfers over to main break Ying Yang and other waves on the east side of the Atoll, or Jetty C’s three peaks can be reached by paddling over. You’ll have to pry yourself off a overwater villa lounge bed first though. There’s no crowding on God’s Left—the private wave in front of Nihi Sumba is limited to 10 surfers per day. The ever-changing wave rewards those who choose wisely with a long ride and chance of getting barrelled. Depending on the conditions, novices and first-timers can learn here too, or hop down to Coconut Cove for calmer waves. An appointment at the resort’s spa along with a cocktail is the right way to après-surf. 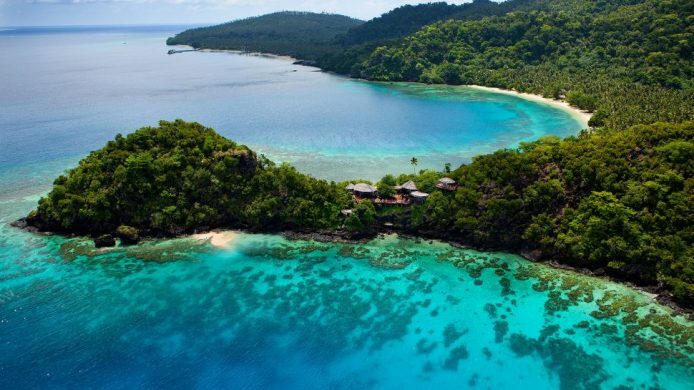 A crowded lineup isn’t a problem in Fiji either. With just 25 “bures” (villas), Laucala Island offers respite to go with the nearby wave action. There are three main breaks just a 10-minute boat ride away, including a long right that offers something for every ability, and experienced Tropicsurf guides to take guests there. 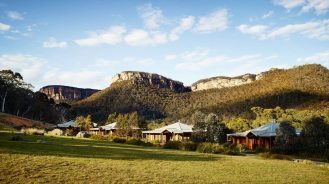 The resort satisfies scores of other athletic pursuits too, including yoga, golf, tennis and horseback riding. 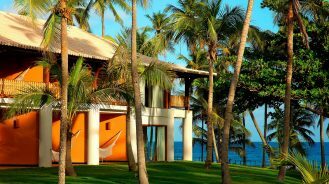 Set on a coconut plantation overlooking the ocean, Anantara Peace Haven Tangelle Resort is also a surf haven. Their surf center gets guests of every ability level set up with guided lessons or sessions. There’s a number of breaks within 15 minutes of the property that are consistent and typically quiet making it an ideal destination for beginner and intermediate surfers who savor space. Each room’s private balcony and private wine humidor provides the perfect way to unwind after coming out of the water. 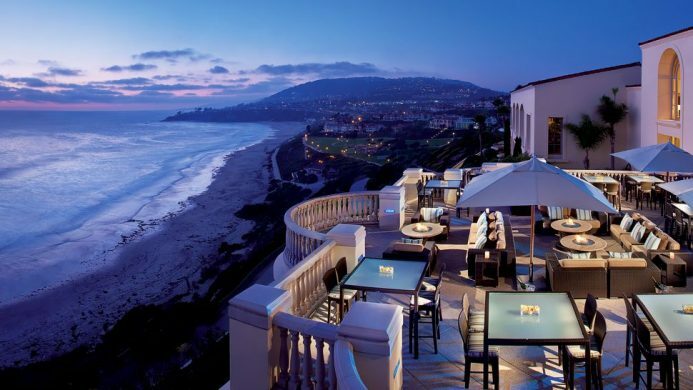 Below the 150-foot perch that The Ritz-Carlton, Laguna Niguel rests on is Salt Creek, a surf break the beckons the pros when it’s pumping. Those waves have more bite than most can chew, so for everybody else there’s Doheny State Beach five minutes down the road. The hotel offers surf camps and rental boards for nearly all ages and abilities. Conversely, you can watch the action from the oceanfront restaurants Raya and 180blũ. Ever dreamt of surfing with three-time World Champion Tom Curren? 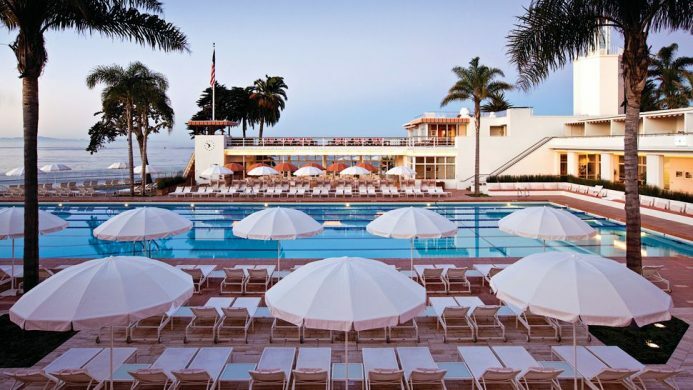 Four Seasons Resort The Biltmore Santa Barbara will assist in fulfilling your wish. Their “Surf with a Legend” experience sets a guest up for a day on the waves with Curren, including checking the surf at hot spots Sandspit and Rincon, paddling out together (don’t worry, it’s tailored to your skill level) and refueling with a gourmet picnic lunch. The oceanfront pool is a real nice place to practice breath holds beforehand. Wave riding has a long history in Hawaii; the first written account of it was found in Capt. James Cook’s diaries from 1779 (but it certainly predates that). Every surfer either starts or eventually ends up surfing in the Aloha State. For the former, The Royal Hawaiian has their Waikiki Boys ready and waiting every day at 10 a.m. to teach the basics of surfing on Waikiki Beach. 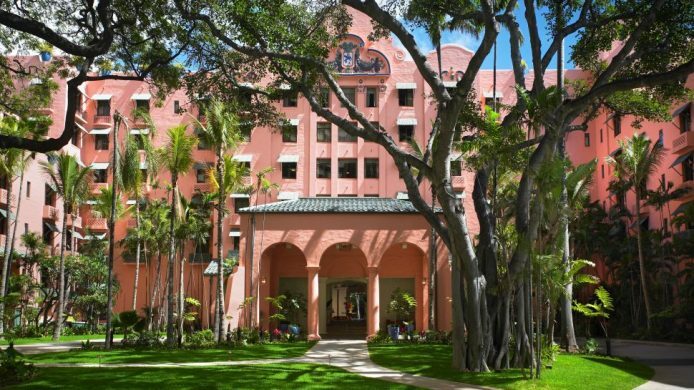 Built in 1927, the pink walled hotel saw surf culture explode in the ‘50s and ’60s and the stoke lives on. Everything at One&Only Palmilla is elevated. 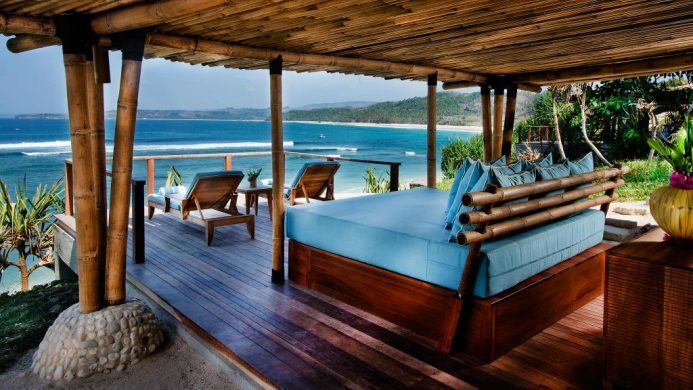 A fave celeb vacay spot (Jennifer Aniston’s a big fan), they refer to it as “The Art of Luxury Surfing” here. Tropicsurf runs the surf excursions and lessons here too, taking the resort’s surf-inclined guests by boat or all-terrain vehicle to the best local spots. Tucked into a private cove, the property also has one of the region’s few swimmable beaches. Surfing is one component of Costa Rica’s pura vida, and El Mangroove offers surf tours for both beginner and experienced surfers to two of the coast’s most famed waves, Witches Rock and Ollies Point—boat lunch and bevies included. Back at the resort, it’s easy to hang loose. 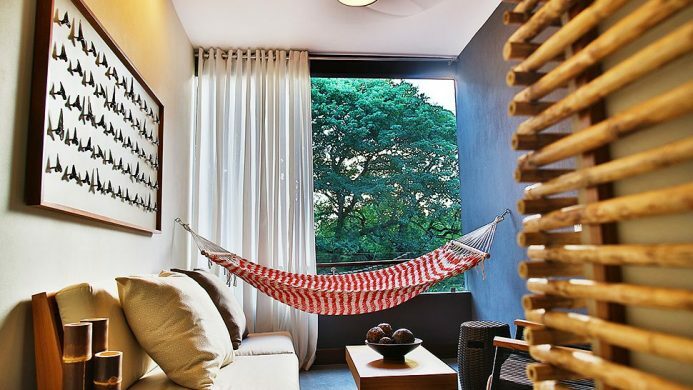 As its name suggests, the eco-conscious property is tucked into a native mangrove forest and the architecture is refreshingly laidback—in-room hammocks, for instance. Warm water is bliss, but taking on cold water (45 to 55°F) is a badge of honor. 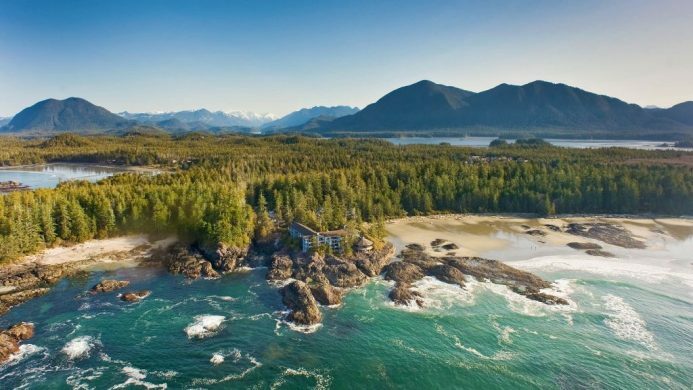 The Wickaninnish Inn in Tofino, Canada’s unofficial surfing capital, will help set you up with a cozy wetsuit, board and lessons if need be. Plus, they’re conveniently located right on surfable North Chesterman Beach, so it’s a short walk from suite to breaking wave. For warming up again, there are in-room fireplaces and the Ancient Cedars Spa’s steam sauna.